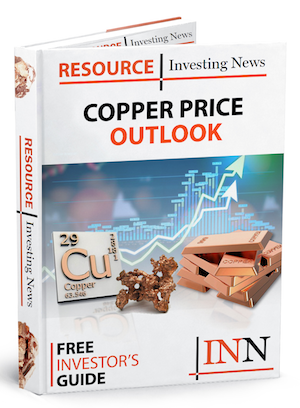 The Japanese company will now own 40 percent of the massive copper project, while Anglo American will retain management of Quellaveco with the remaining 60 percent. 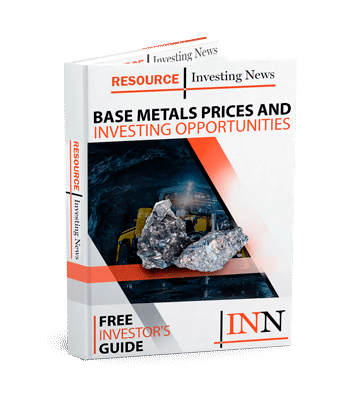 Global miner Anglo American (LSE:AAL) has announced it’s been successful in offloading a portion of its 82-percent share of the Quellaveco copper project in Peru. The company has entered into an agreement with Mitsubishi (TSE:8058) whereby the Japanese firm will increase its stake in the asset by 21.9 percent, bringing its ownership up to 40 percent, while Anglo American will retain the remaining 60 percent of the 225,000-tonne-per-year operation. The extra slice of the pie clocks in at a hefty US$600 million, which will be split into US$500 million upon closing of the agreement, another US$50 million when total ore treatment rates reach at least 150,000 tonnes per day and a final US$50 million when rates reach at least 180,000 tonnes per day. According to Anglo American, the price of the extra 21.9 percent implies the Quellaveco operation is valued at US$2.74 billion in total. “The successful syndication of a 21.9 percent interest in Quellaveco confirms the world-class quality of our copper asset in Peru and aligns with our disciplined approach to how we allocate capital,” said Anglo American CEO Mark Cutifani. “We are pleased to be able to extend our longstanding partnership with Mitsubishi and look forward to its ongoing contribution and strong support for the development of Quellaveco,” he added. According to the company, the deal will be closed in Q3 2018 depending on conditions such as board approvals and the go ahead from Anglo American’s leadership to proceed with the project. The company has been seeking a joint venture partner to share the costs of the huge project, which will be one of the largest in Peru when fully operational. The capital cost of the project is estimated to be between US$5 and US$6 billion. Anglo American retaining 60 percent of the project is more than originally reported; it had indicated that it wanted to hold on to at least 51 percent of Quellaveco in order to remain the operator. Quellaveco is located in the Moquegua region of Southern Peru and, according to Anglo American, is one of the world’s largest undeveloped copper deposits, with ore reserves estimated at 1.3 billion tonnes containing 7.5 million tonnes of copper grading 0.57 percent. The asset has a reserve life of 30 years, although that could be extended out even further with the addition of another 1.6 billion tonnes of ore reserves with a lower 0.37 percent copper grade.